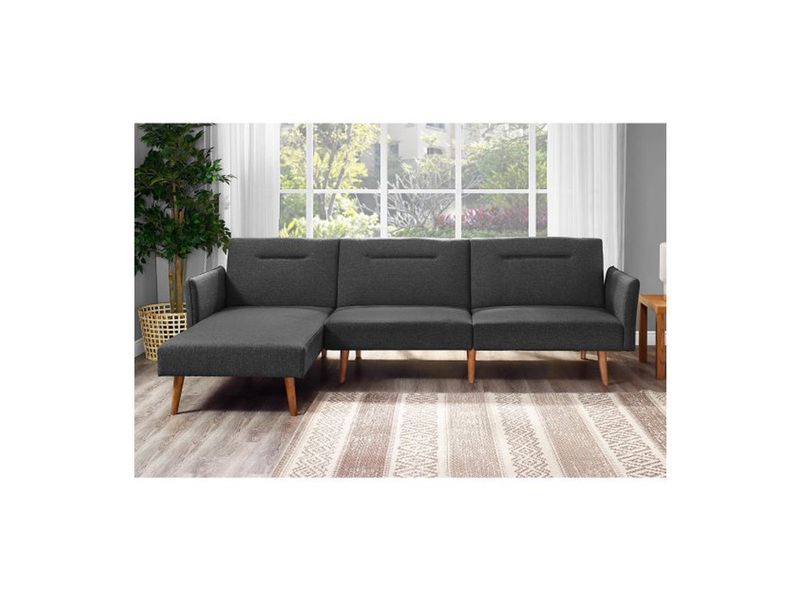 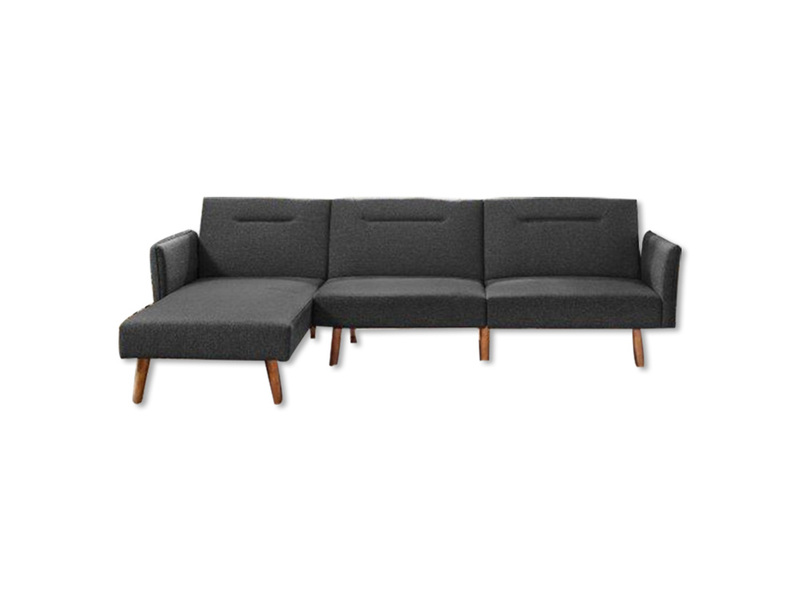 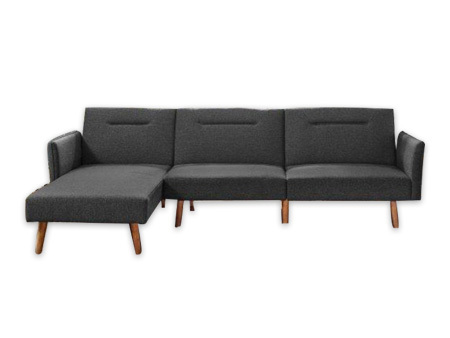 This futon sectional is many things in one; Enjoy sitting, lounging, stretching out, cuddling, spooning or a myriad of other configurations on this simple and modern futon sectional. 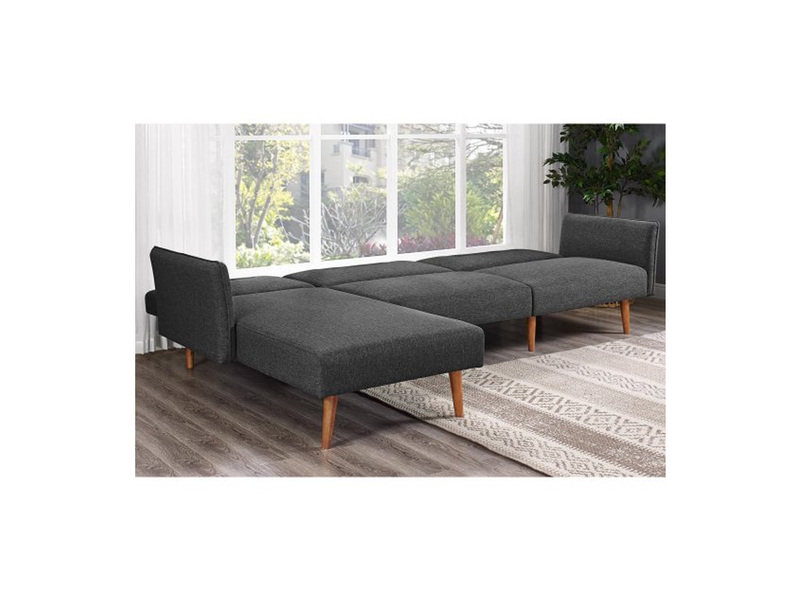 The chaise can be assembled on whichever side you prefer and there's extra support with a center leg. 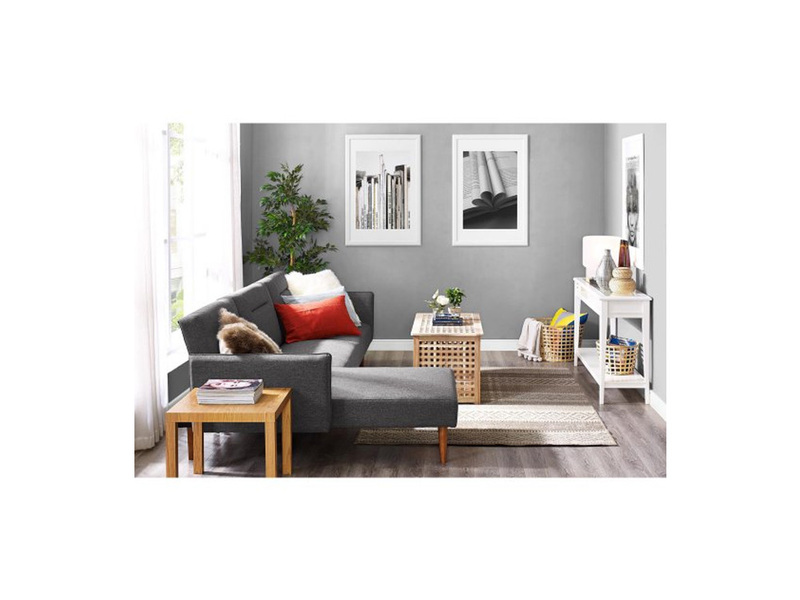 Its linen fabric is easy to clean and nice on the eyes, too!